FEATURE: DOWNSIZING - WHAT DO I NEED TO KNOW? The best way to get exactly what you want is to build it yourself. We find that downsizers’ priorities include an easy-to-manage home but one that doesn’t scrimp on luxury. The list often includes a smaller garden, efficient heating – often using eco-friendly technology and sustainable building materials, a draft-free and warm environment, and a place that’s low-cost to run. But people also want a stylish environment, with attractive modern lighting, and high-functioning facilities. The Savills agent said people increasingly ask about electric car charge points, instant hot water taps, automatic blinds, and Bluetooth-enabled ovens. However, too many facilities can be a turn-off if they add to the bills, and there’s little demand for extras such as in-house gyms or swimming pools. As architects, we find each individual downsizer will have a series of specific requests. These range from a room to house a hobby activity – which may double as a room for the grandchildren, to a large garage for a prized sports car. We have completed many Scottish downsizing projects in the last few years. As with all our designs the key is having a good discussion in the initial stages to find the style and lifestyle preferences of the downsizing client. A successful outcome also hinges on establishing a budget (not always easy!). 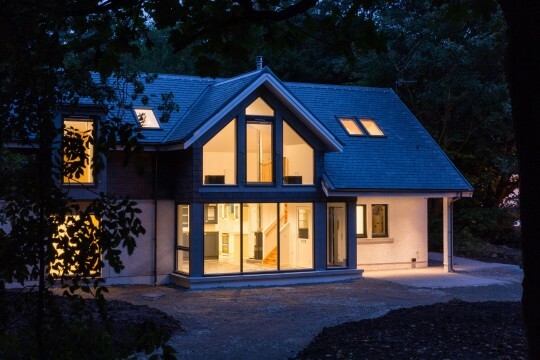 Building your new downsizer home can be an economical way to go, particularly if you can use land you already own, for example in the grounds of an existing house. 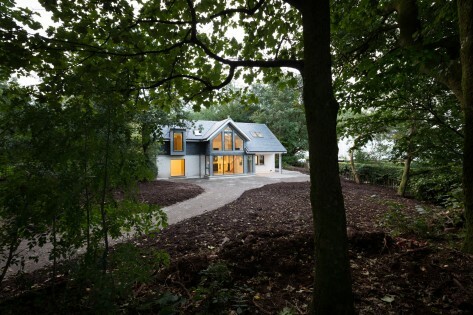 We were commissioned to build a house like this in rural Stirlingshire. 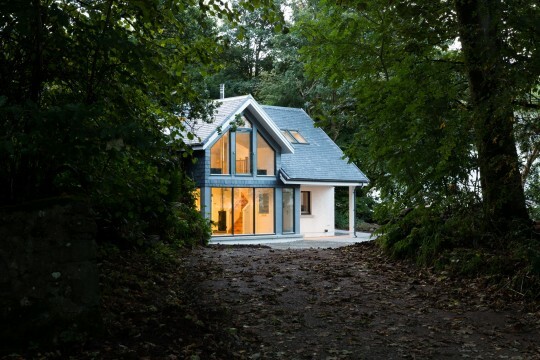 Situated in a pleasant woody spot in the grounds of the client’s B-listed house, the new home had to complement the local style yet be a fully 21st-century space with all the comforts the couple required. It is crisp and contemporary, yet nods to the Arts and Crafts form of the houses in the village. It achieves this with the use of one-and-a-half-storey design, with asymmetrical gable elevations and covered porches. These architectural references also helped us achieve planning permission. The clients love their warm and cosy new home. They enjoy the plentiful views from the extensively glazed house, and they appreciate being close to the old house yet relish living in a stylish and highly energy-efficient new build that’s easy to clean, run and maintain. Generally, people will spend up to three quarters of what they made from the sale of their previous home, freeing up cash for a fulfilling retirement. Many like to travel,and having a home that’s easy to simply lock up and go is another popular requirement. Whatever your stage in life – more downsizers are in their fifties, as well as their sixties and seventies – moving to a successful smaller home can provide a new lease of life. One issue that’s worth thinking about is whether your old furniture will fit. Sometimes, it’s better to pass pieces on, or even sell and declutter, and invest in furniture which complements the new home. Continuing that thought, we advise starting by thinking about exactly what you want and need by writing lists at the beginning of the process. This may also encompass healthcare needs. 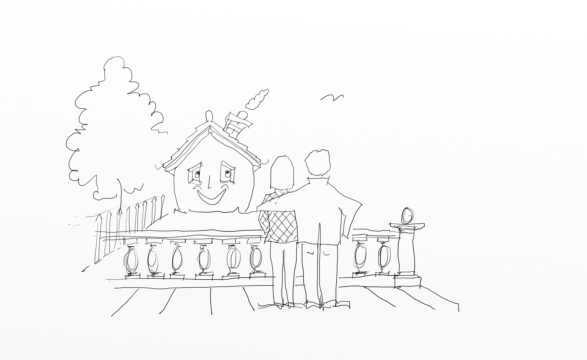 That way you’re likely to end up with an exciting new home that’s a pleasure to live in.